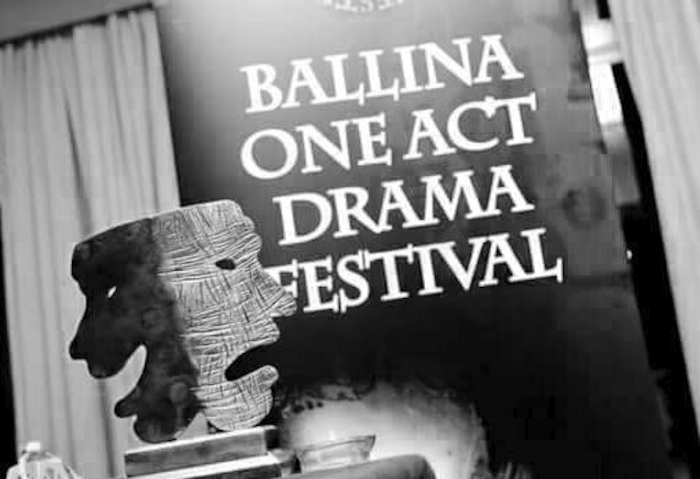 The Ballina One Act Drama Festival is returning for its fourth season next month. The festival will run for three nights in the Ballina Arts Centre from Friday November 2 to Sunday November 4, with doors opening nightly at 6.45pm and the curtain going up at 7.30pm sharp each evening, bar Sunday when the show starts at 7pm sharp. There are ten groups competing in the open and confined competitions, with groups coming from Galway, Limerick, Kerry, Wexford, Kildare, Westmeath, Roscommon, Galway, as well as three local groups that will be taking part for the first time. The adjudicator for the competition is Padraic McIntyre and a festival club will take place a night after the shows in the Ballina Manor Hotel. Tickets cost €10 per night or a season ticket for all three nights costs €25. For more information log on to www.ballinartscentre.com or call (096 ) 73593.